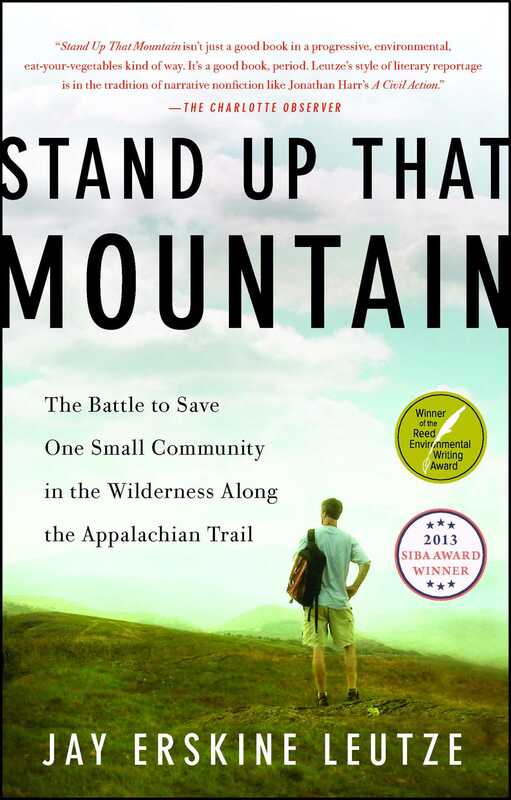 In the tradition of A Civil Action—this true story of a North Carolina outdoorsman who teams up with his Appalachian neighbors to save treasured land from being destroyed will “make you want to head for the mountains” (Raleigh News & Observer). LIVING ALONE IN HIS WOODED MOUNTAIN RETREAT, Jay Leutze gets a call from a whip-smart fourteen-year-old, Ashley Cook, and her aunt, Ollie Cox, who say a local mining company is intent on tearing down Belview Mountain, the towering peak above their house. Ashley and her family, who live in a little spot known locally as Dog Town, are “mountain people,” with a way of life and speech unique to their home high in the Appalachians. They suspect the mining company is violating North Carolina’s mining law, and they want Jay, a nonpracticing attorney, to stop the destruction of the mountain. Jay, a devoted naturalist and fisherman, quickly decides to join their cause. So begins the epic quest of “the Dog Town Bunch,” a battle that involves fiery public hearings, clandestine surveillance of the mine operator’s highly questionable activities, ferocious pressure on public officials, and high-stakes legal brinksmanship in the North Carolina court system. 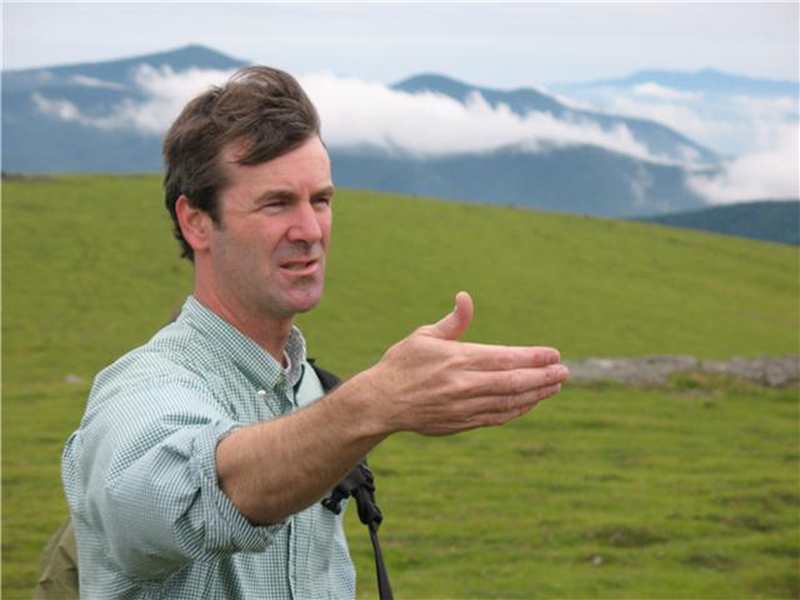 Jay helps assemble a talented group of environmental lawyers to contend with the well-funded attorneys protecting the mining company’s plan to dynamite Belview Mountain, which happens to sit next to the famous Appalachian Trail, the 2,184- mile national park that stretches from Maine to Georgia. As the mining company continues to level the forest and erect the gigantic crushing plant on the site, Jay’s group searches frantically for a way to stop an act of environmental desecration that will destroy a fragile wild place and mar the Appalachian Trail forever. For me, this is how it started. With a phone call. Beth Langstaff? My mind tried to find a reference. Witt Langstaff and his wife had bought the pastureland down the hill from me, below my pond. Beth. Must be Witt’s wife, I thought. “Well, not everybody.” The woman’s voice was high and tight, like the first string on a guitar. “Paul pulled a shot over at the rock crusher and it cracked the foundation on our house. We’ve got a police report on it. I called that lady and she called her husband, who is off somewhere working, and that man said I should call you, because Paul has run all over the mountain, and you being a lawyer . . .” She stopped to regroup. “See, Paul and Richard Whitehead—you probably know him—and James Vance, we call him Nasty, they work for Paul, and he has violated the mining law in ten different ways. At least ten. I haven’t counted it up, not yet. Now they want to put in a gravel conveyor that would be on a seventy-nine-foot tower.” Ashley Cook’s words came out in a torrent, but her tone was clear and her intelligence obvious. Her accent was faint, country, but not overtly mountain, and I wondered if she was making an effort to conceal it. She said she was a Cook. I knew the Cooks from up on Little Horse Creek, but she didn’t talk quite like them. She sounded as if she had moved away from here and come back, had tried to forget how to talk mountain. “I heard it,” I said. “Heard what?” She’d gotten tangled up in her own telling. Yes, I had heard it. I was working at my desk when the air went wild with an explosion on Belview Mountain. The sound swept up the east slope of Big Yellow and screamed over the house. I sat up. Nearly levitated. One of the dogs, Biscuit, rose from a deep sleep and let loose a fusillade of barks. I expected every tree on the ridge to lie over flat, for feathers to fly from birds, but once the sound passed, everything stood as it had. “Tell me about the gravel conveyor,” I said. I wasn’t sure what to make of any of this just yet, but this woman had seized my attention. She paused. I detected in her tone that she was less than impressed that I did not immediately understand the significance of a seventy-nine-foot conveyor tower. “Do you want to talk to Aunt Ollie?” she asked suddenly. I didn’t know if I did or not. In my brief moment of consideration, the phone was passed on to Aunt Ollie. This voice I knew. The Cooks have been rooted in Avery County for as long as history or memory records. They are mountain people. Hard people with birdy faces who live high up on the cold creeks. Either hard drinking or hard churchgoing, the Cooks and Taylors I knew growing up were wraithlike. They grew potatoes and a little bit of corn, cabbage. They hacked at the slopes to try to get the earth to give something back. Some of them carpentered for a living, others worked horses, in timber, and one of them was married to a man who ran a sawmill down below our house when I was a boy. They talked in the singsong trill of the deep hollers. I asked Aunt Ollie how she was kin to my neighbor Stella Thomas, who was born a Cook. “Okay.” I had heard that before. “Who is Ashley?” I asked, treading furiously to keep up.